Effective benefits realisation in the portfolios, programs and projects (P3) environment requires the establishment of clear business intentions through rigorous testing of the business objective via quantitative or qualitative analysis. It is increasingly important that the various potential sponsors/beneficiaries detail their expectations in such a manner as to ensure that the providers fully comprehend their needs, enabling well-crafted outcomes to be developed. In essence, benefits realisation is no different to many endeavours and is subject to the age-old adage ‘garbage in garbage out’. Such processes must also offer sufficient flexibility to enable team members to be engaged in the ‘hands on’ contribution to P3 outcomes through smooth interaction with the processes adopted. These desirable attributes will require a comprehensive understanding of the capacity and capability of the selected system used to interrogate and manipulate such data. 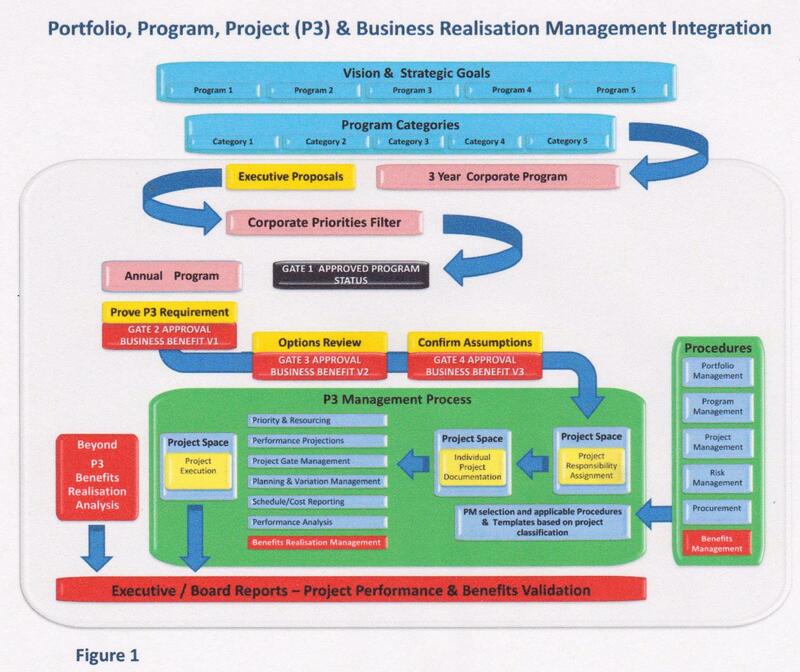 Also, having confirmed through the P3 cycle that the intended benefits will be realised, there remains a need to determine where the responsibility rests in monitoring performance outcomes over time, given that not all benefits are immediately provable on the completion of a program or project. This suggests that some standing resources will be required. In some instances, P3 managers may need to consider the ability to integrate with major service supplier systems. This may influence, to some extent, the process selected and a survey of systems being used by interacting consultants and contractors may be beneficial. In addition, this would be helpful in ensuring that the monitoring method selected has the capacity now, or at a future time, to interface with other business systems. In determining how benefits tracking is to be managed it is useful to integrate as much of the current practices as might be practicable. Unless an existing system is completely broken or discredited, this assured users of some degree of familiarity and mitigates against employee apprehensiveness and the opposition encountered in the implementation of any new processes. With any evolving process the inclination is to establish a standalone monitoring and control system to interact with P3 managers. Should this occur, project teams will regard BRM like siloed risk management processes—as another reporting barnacle disrupting ‘real work’. To mitigate such a risk, benefits management, and risk management for that matter, needs to be undertaken as an integral part of the portfolio, program and project matrix. The demand for effective outcome performance management through Benefits Realisation Management is increasing but the limitations on resources supports its integration as a component of existing work practices. This requires a revised thinking as, traditionally, temporary project teams created to execute a work activity usually have little interest in benefits outcomes. 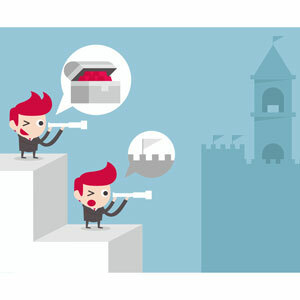 To better define benefits and manage outcomes, the opportunity should be taken to develop processes and systems which integrates within the P3 workspace and infuses the understanding and commitment necessary to achieve the business outcomes sought as well as time, cost and quality imperatives. Effective business benefits monitoring and assurance will only be achieved as an integrated component of the P3 processes.